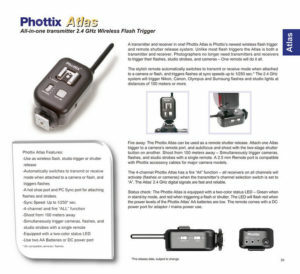 Chinese photographic accessory company Phottix have written on their blog about upcoming products to be announced at PMA 2010. 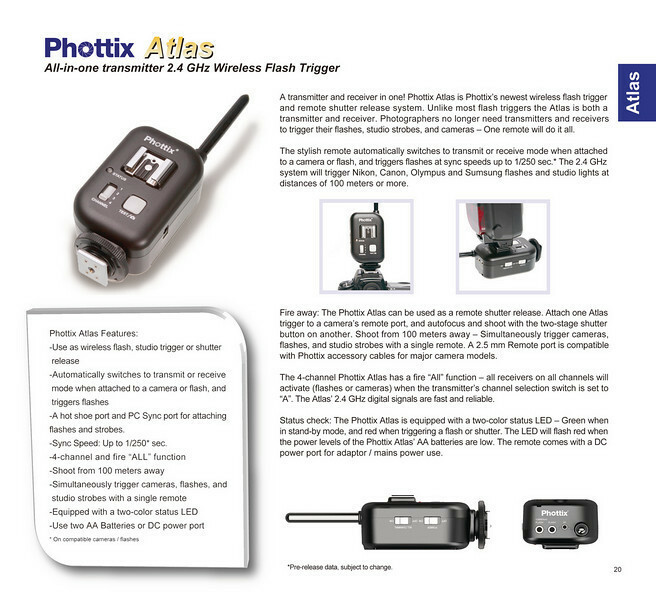 Leaked catalogue images show a manual flash and two 2.4GHz triggers. 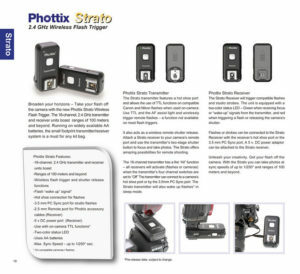 What new accessories have the engineers at Phottix been working on? That’s the thousand dollar question. I could tell you, but then I’d have to swear you to secrecy. All will be revealed at the PMA in Anaheim, CA, February 21 – 23. Stop by and take a look at some amazing new products. Yes, amazing. That’s not an adjective used lightly. 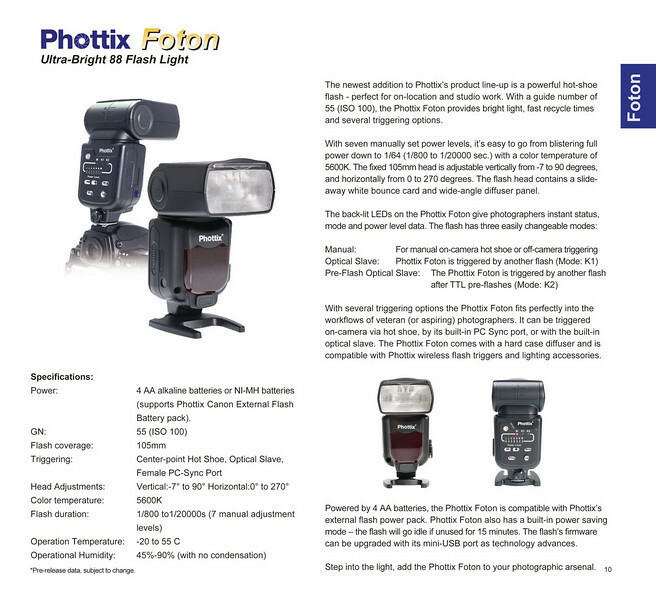 “Strobists” will be quite pleased with what they find. Phottix’s PMA Headquarters will be booth(s) 2081 and 2083, under the name of Hong Kong Supplies. Thanks to Tökéletlen on Flickr, we have got leaked pages from Phottix’s catalogue showing the new products. There is a Flickr discussion going on here.